Whether you need caterers, entertainers, DJs, transportation or something else to make your party special, you'll find them listed in this guide to party services in NY. FunNewYork offers you a categorized list of New York party services of all types to help you along in your party planning. Find the top airbrush artists NY can offer when you use FunNewYork's party guide. 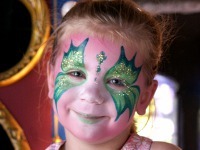 You'll see listed here many of the wonderful airbrush artists New York can boast - ready to hire for your party. Are you looking for a fun and unique entertainer for your kid's birthday party? 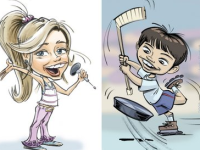 A NY caricature artist is just what you need. Find the top NY caricature artists on this comprehensive list. Get rid of all the hassle and stress that comes with planning a kid's party - hire a party planner in NY for your kid's next party! Find all the top NY party planners on this all-inclusive list. 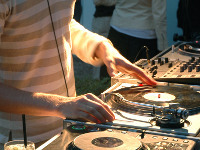 Kids party DJs in NY will help get the kids at your party excited and engaged. At your child's next birthday party have NY kids DJs play their favorite songs! For an unforgettable (and easy!) party, hire a fun kids party bus NY. 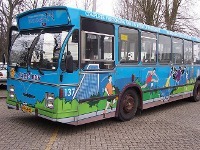 Find the top kids fun bus NY can offer when you peruse this list of buses and party bus services just for kids. 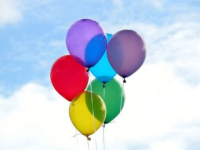 A kid's party is all about the fun, themed decorations and party favors, and you can find the top NY party favors here! From cool spider man decorations to princess magic wands, you can find it all from these party favor companies in NY! Don't let the awesome memories of your kid's birthday party get lost with time - preserve your memories by hiring a party photography in NY! 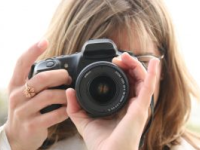 You will not be disappointed by this list of outstanding kid's party photographers in NY.